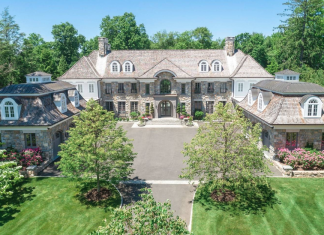 This stone & clapboard home is located at 112 Indian Head Road in Riverside, Connecticut and is situated on 2 acres of land. 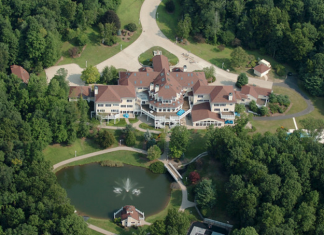 Rapper turned Actor/Mogul 50 Cent (real name Curtis Jackson) has just sold his Connecticut mega mansion for $3 million and plans to donate it all to his charity. 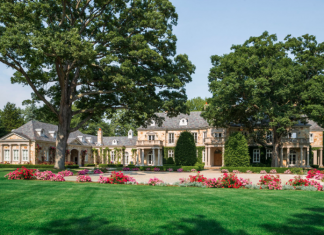 This stone home is located at 19 Lower Cross Road in Greenwich, Connecticut and is situated on 10 acres of land. 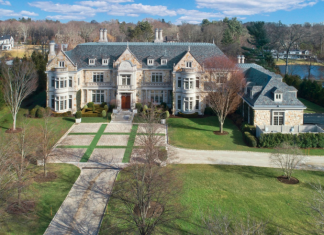 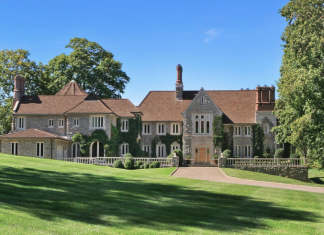 This Jacobean Manor style stone mansion is located at 15 Meadowcroft Lane in Greenwich, Connecticut and is situated on 3 acres of land.